Loving each other through it. 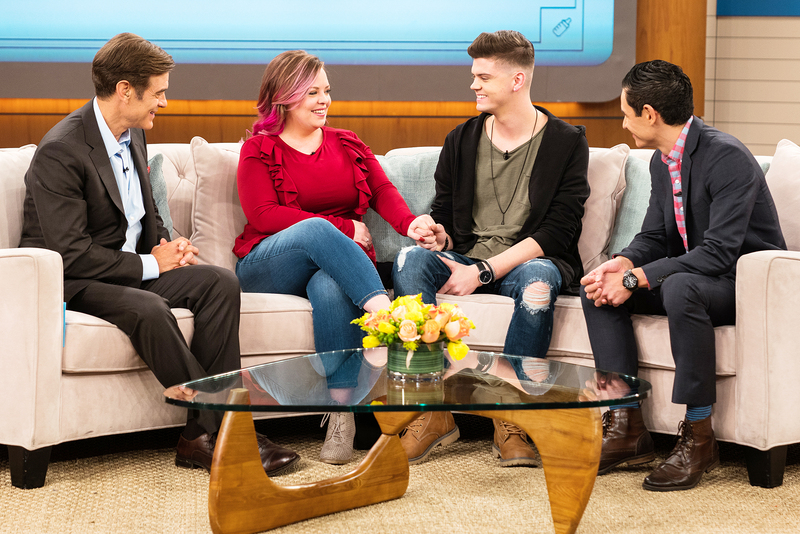 Catelynn Lowell and Tyler Baltierra opened up about their respective struggles with depression and revealed how if affects their marriage. In Us Weekly’s exclusive clip of the Teen Mom OG couple’s Thursday, July 12, appearance on The Dr. Oz Show, Lowell is asked about Baltierra’s cryptic tweet that made headlines back in April. While Lowell, 26, initially thought she had done something wrong, the MTV star quickly realized that Baltierra’s words had nothing to do with her. Lowell and Baltierra, 26, tied the knot in 2015 after several years of dating. The duo, who share 3-year-old daughter Novalee Reign, have been open about their mental health issues over the years. Most recently, Lowell revealed during season 7 of Teen Mom OG that she had suicidal thoughts after suffering a miscarriage. The Conquering Chaos author sought treatment for her mental health struggles in November 2017. After returning home around the holidays, she reentered the rehab facility in January and returned home the following month. Lowell and Baltierra are set to appear on The Dr. Oz Show on Thursday, July 12. Check your local listings for air times.